Malia Obama is the eldest daughter of the former president of the United States of America Barack Obama and his wife, Michelle Obama. 20-year-old lady, Malia charms people around the world by her perfect clothes style and a beautiful appearance. Let's know more about her life! 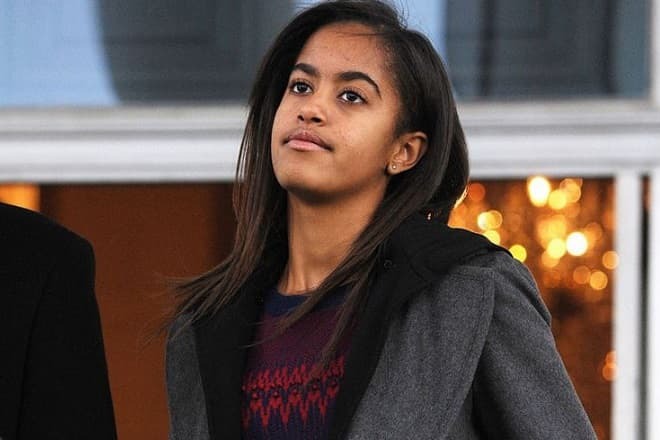 Malia Obama was born on July 4, 1998, in Chicago, USA. Here the girl and her younger sister Sasha Obama studied at a private school. At the moment of Malia's birth, her father Barack held the post of the Illinois State Senator. When the girl was 10, in 2008, Barack Obama was elected as the president of the USA for the first term. 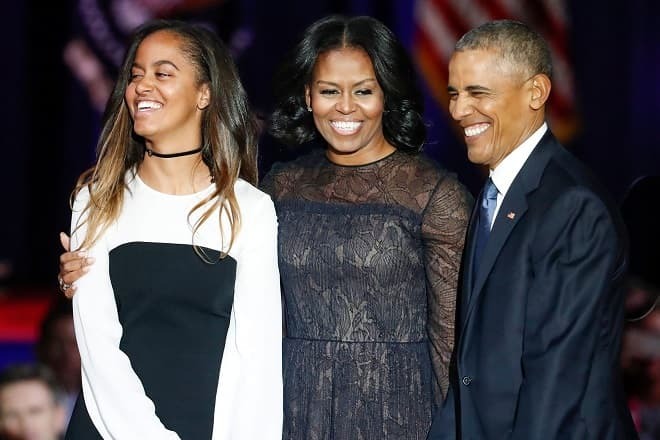 The family moved to the White House, and Obama's little daughters became ones of the youngest White House's inhabitants. Malia's little sister Sasha also became the first White House's inhabitant born in the 21st century. Malia attended two her father's inaugurations: in 2009 and 2013. She has always taken part in Barack's affairs, accompanied him in his travelings, visited various official events with other family members. Living in Washington, Malia and Sasha entered the local private school named Sidwell Friends. Earlier Richard Nixon's, Bill Clinton's and Theodore Roosevelt's children had studied there. Only rich and famous people could afford to study at the Sidwell Friends, cause the education cost 30,000 per year. The patrol service supervised the school's territory. Studying in these conditions, all the students became aware of their importance from childhood. Their schedule was tight: the former president's daughters did not have time to talk to the parents. However, they were not offended. Malia confirmed that she had never especially liked living in the White House. Nevertheless, being a teenager, she had a lot of hobbies, including studying. Both Malia and her sister Sasha were keen on music and played a piano. Also, the girls liked playing tennis. Besides, every one of them had her passions: Malia had a fancy for football, dancing and theatre classes. Younger Obama's daughter was interested in tap dancing and gymnastics. From the very infancy, the sisters liked dogs and often asked parents for buying a pet. The purchase has always been postponed for some reason. The first is that Malia was allergic to wool. Also, the family couldn't choose an appropriate kind of dog: they needed a hypo-allergic one to save Malia's health. Barack promised to make his girls desired gift after his electoral victory. 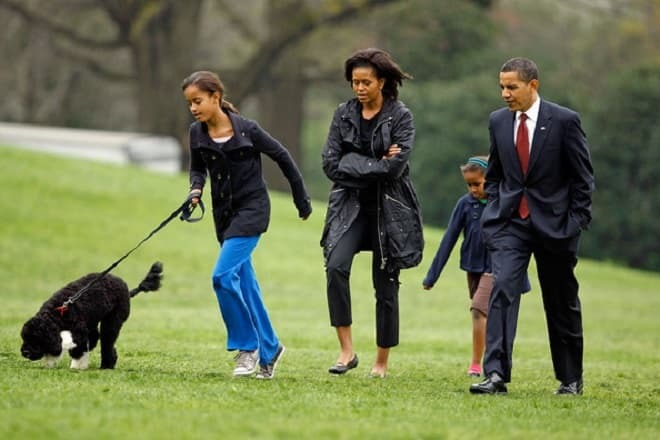 Actually, after becoming a president, the father graced the family by buying a dog of “Portuguese water dog” kind. Thus a new favorite inhabitant appeared in the White House. The dog was called Beau. Former president's daughter walks Beau with pleasure and finds time for passing together. Although Malia has always been the subject to the attention of media and people around, she prefers to stay in the background. The girl is very thoughtful and sensitive; she does not like conflicts and can't stand criticism. In spite of her young age, she has a perfect intuition, and she understands this life. By her character, she resembles her father, but by appearance, she looks like both parents. According to doctor Hardt's words, the girl would find herself in music, philosophy or feng shui. He said she would become a perfect leader, but not a good politician. Malia has a beautiful appearance and a perfect taste in clothes. 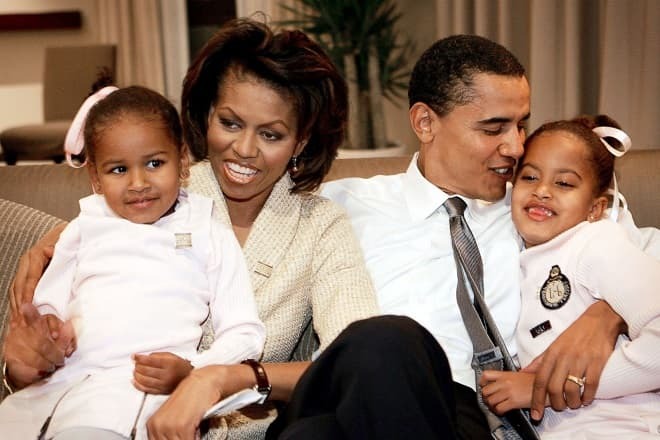 In general, both Obama's daughters have a huge potential to succeed. The only thing which they lack – their mother's Michelle attention. In 2014, Malia and Sasha Obama appeared at the list “10 Most influencing teenagers of the year” at the 4th place. From her childhood, Malia got used to important events. 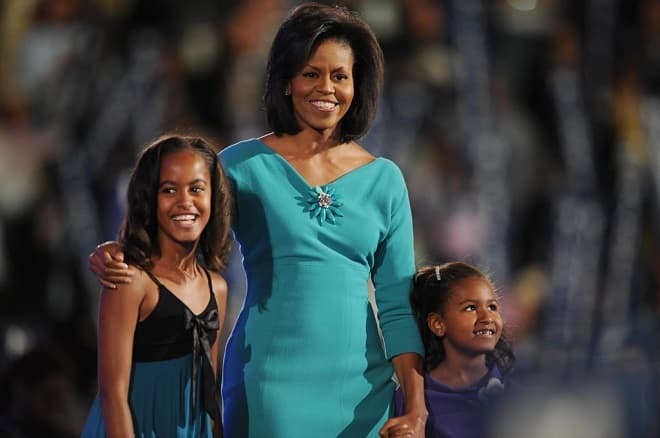 During Barack's ruling, Michelle with daughters often took part in charitable and educational activities. Traveling around the world, the family managed to visit a lot of countries together. During one of Obama's trips, a British prince fell in love with beautiful, tall, well-dressed Malia. Their mother, Michelle Obama, was rightly called the First Lady: she attracted attention by charisma, clothes taste and behavior. By the way, Malia shares her mother's interests almost in everything. For example, both women prefer strict patterns and bright colors. Journalists noted, that Malia also emulated Michelle's manners of behavior. Everybody around notes Malia's perfect style: fans try to buy the same clothes, copy her and discuss her. 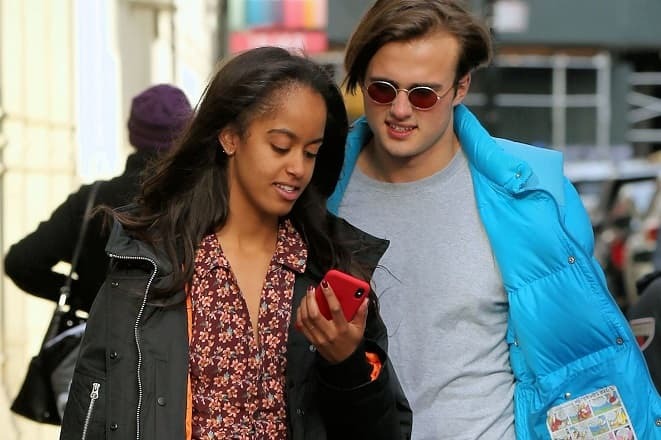 Malia's fans have even created the blog on the Internet called “Malia Obama is Gorgeous.” Blog's owners publish there Malia's photos every day. Her sister Sasha will graduate from school soon and now does not have concrete plans about the future. Malia supports her sister in everything without trying to impose her opinion. Nowadays Barack's daughter is studying at Harvard University. She began attending Harvard University in the fall of 2017. According to W Magazine, Obama had the gap year many college students could only dream of. She partied in Amsterdam, attended Lollapalooza in Chicago, and began her internship in New York City at Weinstein Company — thankfully now no longer run by Harvey Weinstein himself. Obama has also been spotted at clubs and hitting the streets of New York City with her bodyguards in tow. Though with her confidence and height of over six feet tall, Obama could probably handle her own! At the University of Harvard, Malia met her boyfriend – Rory Farquharson. He moved to the USA from England where graduated from prestigious Rugby School in Warwickshire. His father is a famous investor working at the Insight Investment Management Limited company. Though Obama was a freshman in the 2017-2018 school year after taking her gap year, Farquharson — who is the same age as Obama — was a registered sophomore in the 2017-2018 academic year. While it is not known what Obama is studying, it seems her interests center around the arts. Farquharson, on the other hand, may be following in his father Charles' footsteps. The Telegraph further reported that Farquharson followed quite a few banking-related accounts on Twitter so, if nothing else, the interest is there.